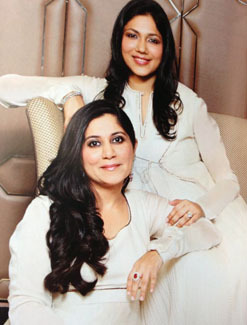 Started by sisters-in-law Shilpi Jatia and Rituu Bagrodia, The Dressing Room helps in providing an opportunity to connect the buyer to their clients as well as bringing forth a perfect mix of luxurious collections for one and all. Showcasing the Spring/Summer lines of talented designers this season’s collection sees an infallible blend of beautifully coloured and fun fabrics with the touch of original silhouettes. Including brands such as Indian by Manish Arora, Nishka Lulla, Surendri by Yogesh Chaudhary, OSAA, Gaurav and Ritika, Natasha Kapoor, Urvashi Kaur and more, the exhibition will also see exclusive creations from NGO’s such as Asya, Apni Shala and Madhvi Goenka’s helping hand and kids wear such as Pixies and Pearls, Coo Coo, Green Apple and more. Joining hands in support of the Cuddles Foundation, an organization that works towards providing medication and nutrition for cancer babies, The Dressing Room opens doors at The Mansion, Four Seasons Hotel, Mumbai on February 27th 2014 from 10am to 7pm.